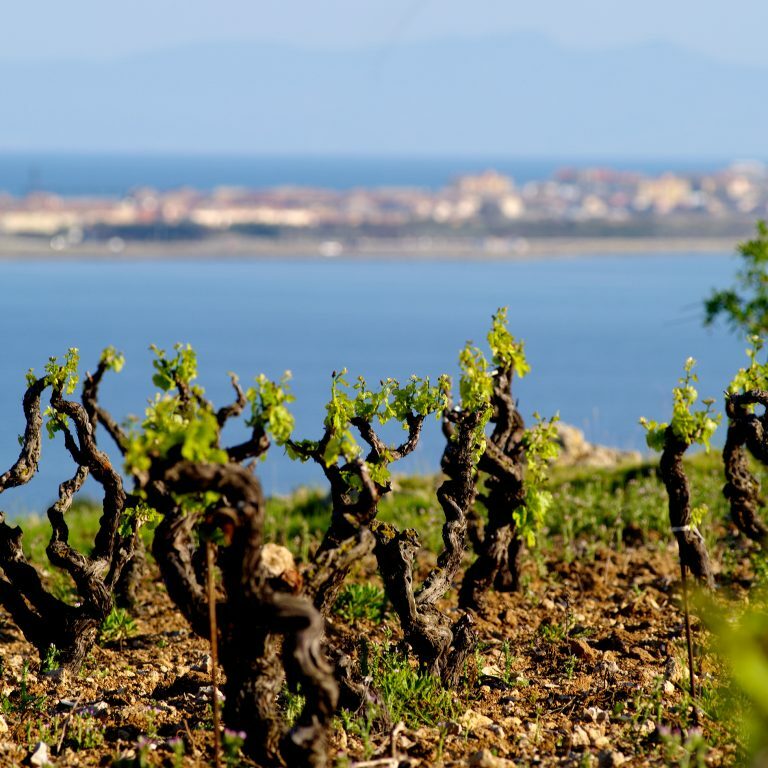 The wines of Languedoc are experiencing an exciting renaissance. 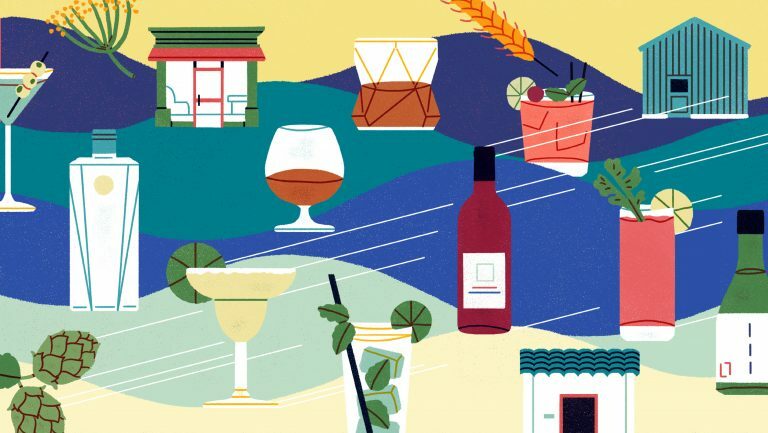 Having reinvented itself in recent decades by shifting its production focus from standard wines to those of high quality, the region has become one of the most dynamic in the country. 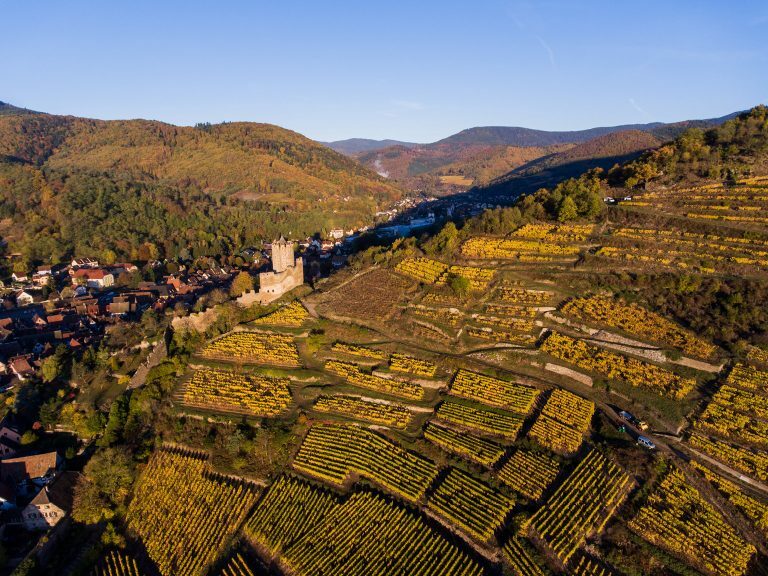 Leading winemakers combined time-honored traditions with state-of-the art techniques to revitalize the region’s appellations, and their innovative vineyard and vinification practices have yielded a diverse range of terroir-driven wines, including a large percentage of organic wines. Their efforts have led the Languedoc AOP to become one of the fastest-growing categories in France. Today the region’s red, white, rosé, sparkling, and sweet AOP wines are being sought out as new “discoveries” by consumers around the world who are seeking exceptional quality and value. Map courtesy of Les AOC du Languedoc and Les IGP Sud de France. Languedoc is the biggest producer of IGP and AOP rosé wines in the country, exceeding the production of Provence. The region has also become a welcoming area for foreigners, attracting producers not only from other regions of France but from the world over. Languedoc is now flying high on the reputation of its rich history, culture, and revolutionary spirit—and the Crus du Languedoc are being touted as the new French Crus of the South. Located in Southern France, the Languedoc is part of the greater Languedoc-Roussillon region and makes up approximately 90 percent of the territory (Roussillon occupies the other 10 percent). 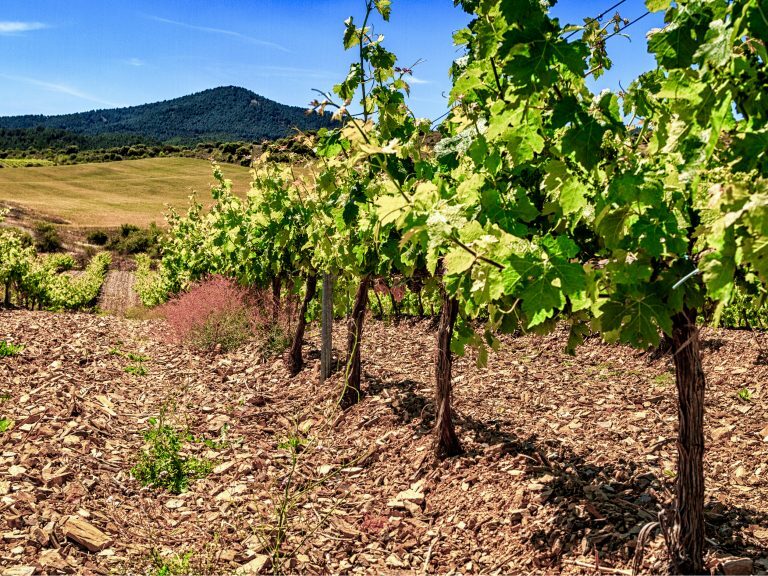 Running along the Mediterranean coast from the Spanish border in the south to the region of Provence in the east, Languedoc-Roussillon is France’s largest wine-producing region and vineyard area—more than one in three French wines is produced here. The greater Languedoc-Roussillon region is also the largest vineyard area in the world with a geographic identity. With about 21,373 wine estates in the region, viticulture is the main driver of the local economy. Many of the wineries are small family holdings that date back generations. The Languedoc is known for being quite distinct from Roussillon as far as culture, civil administration, and wine styles are concerned. Languedoc AOPs represent about 11 percent of Languedoc-Roussillon wines. The region is home to multiple climate and soil types, which affect its wines in different ways. The vast majority Languedoc’s wines are red blends, but rosé and still white wines are produced here, as are sparkling wines made in the traditional method, a technique made famous because of its association with Champagne but one that’s believed to have been discovered in Languedoc’s Limoux in 1531. There are also four Languedoc sweet wine appellations, which produce vins doux naturels from the Muscat variety. The main area of the Languedoc wine region stretches across three départements—from the Aude to the Gard by way of the Hérault—and then extending to the Pyrénées-Orientales. The region’s proximity to the Mediterranean Sea helps provide greater consistency across vintages than in other areas of France. For the most part, the region has a Mediterranean climate, with hot summers and mild springs, autumns, and winters. There are, however, varying microclimates throughout. They can be broken down into five groups. Mountain: In the north of the region, the climate tends to be more continental, similar to that of the nearby Rhône. Coastal: Along the coast, there is a strong Mediterranean influence, with abundant sunshine. South: In the southern part of the region, the climate is similar to Roussillon’s—making it suitable for more production of Carignan. Center: In the heart of the region, the climate is classically Mediterranean. West: In the west, the region experiences a mix of continental and Atlantic influences, which help create ideal conditions for Languedoc’s sparkling wines. The climate and strong winds, which help prevent pests and disease by giving natural protection to the vineyards, contribute to the region’s ability to sustain a high level of organic production—30 percent of all organic French wine comes from the Languedoc. Overall, the region receives little rainfall, and in some areas the amount of rain is the lowest in France. But the Languedoc has reserves of water in most of its calcareous soils. Soil types vary, with clay and limestone being the most dominant, though there are areas where schist, shale, granite, pebbles, and sandstone are common. 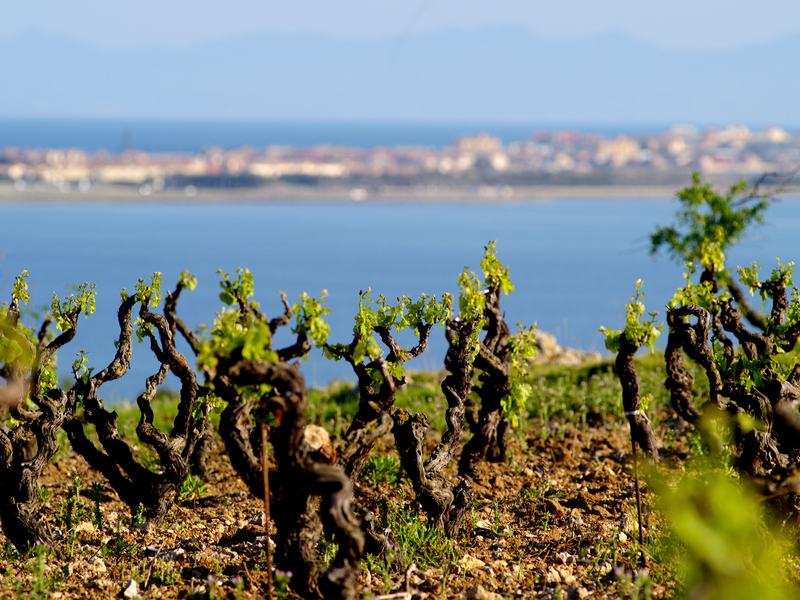 Languedoc’s vineyard history dates to the 5th century BC, when the Greeks introduced vines to the area. And, as occurred in many other French vineyard regions, winemaking expanded under the Romans. Viticulture has continued to play a crucial role in the regional economy since that time. In the first millennium, a unique method called passerillage was used to produce wines; harvested grapes were dried in the sun for over-ripening. In the 17th century, construction of the Canal du Midi, which connected the Mediterranean to the Atlantic, gave a boost to the wine sector. In the late 19th century, the railway system made it easier to ship wine to Northern France, which led to a period of great prosperity for the Languedoc wine community. Phylloxera began attacking Languedoc vineyards in 1868. As a result, vines were grafted onto phylloxera-resistant American rootstock, and major replanting was undertaken—with a focus on quantity and high yields. At that time, the Languedoc produced the largest volume of table wine in France, yielding up to 120 hectoliters per hectare. By 1900, the annual production was 21 million hectoliters. This overproduction resulted in plummeting prices, a situation that was compounded by wine frauds involving the illegal manufacture of wine produced from sugar beets, as well as inappropriate chaptalization practices, which ultimately led, in 1907, to revolts by small producers. In 1910, with the fraudulent activities resolved, a new effort to revive Languedoc wine was begun. In 1938, Blanquette de Limoux was granted appellation d’origine contrôlée (AOC) status and thus became the first AOC established in the Languedoc region—and one of the earliest AOCs in France. In 1945 the Languedoc received major recognition from the National Institute of the Appellations of Origin (INAO) when the organization allowed the region’s wines to be designated Wine of Superior Quality (VDQS) and approved the appearance of that designation on labels. This designation would later evolve into the AOC (now known as AOP) system. In 1975, Languedoc producers gradually began shifting their focus toward standards that would raise the region’s level of quality. Selection and research into soil makeup, vineyard management, yield control, and winemaking methods led to a restructuring of the Languedoc region and, eventually, the classification of its terroirs into various AOCs/AOPs, which now guarantee the quality and authenticity of Languedoc wines. Although the major part of Languedoc-Roussillon’s production is still made up of IGP wines, today there are more than 30 AOPs in the region, representing about 10 percent of its total production. Languedoc AOP wines can be divided into three main tiers of a pyramid: The Crus du Languedoc make up the top of the range; the Grands Vins du Languedoc are cultivated in Languedoc terroirs that form the middle; and the AOP Languedoc appellation is the bedrock of the pyramid. Representing only 4 percent of AOP production, the wines in this category come from more concentrated, demarcated, high-potential terroirs and are produced in limited quantities—among the lowest yields in France. They are complex, expressive wines that develop elegant, soft tannins with age. This category continues to expand with the addition of new terroirs each year. Wines in this category make up 70 percent of the region’s total AOP production. They’re aromatic, well-structured wines that boast the classic flavor characteristics of the region. 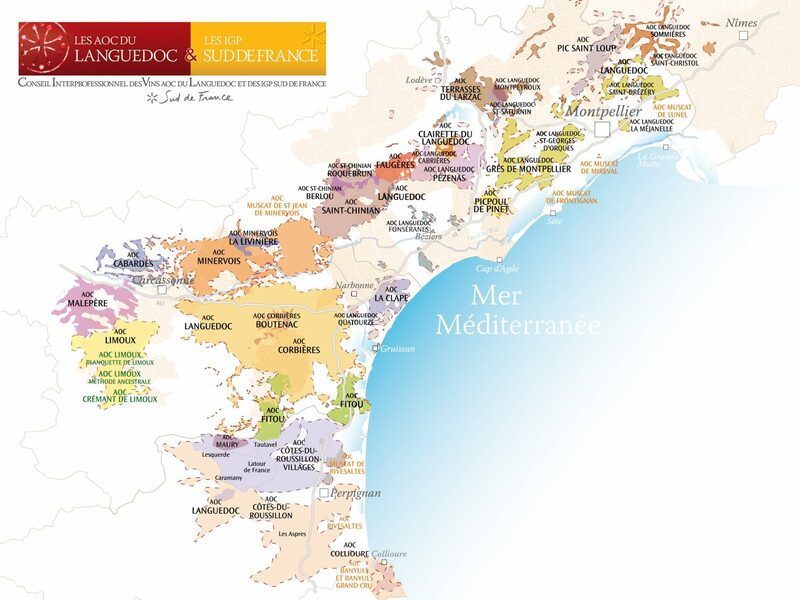 The Languedoc regional appellation represents approximately 25 percent of total AOP wine production in the region. The Languedoc AOP evolved from the extension of the Coteaux du Languedoc appellation, which was recognized as an AOC in 1985. It covers recognizable and accessible geographic origin red, white, and rosé wines, with blending across the terroirs of the AOP Languedoc and Roussillon. Production covers the whole of the Languedoc-Roussillon. These wines are known as enjoyable everyday drinking wines that deliver a strong quality-to-price ratio. Languedoc’s AOP wines are predominantly red blends made with Grenache, Syrah, Carignan, Mourvèdre, and Cinsault. Their flavor profile is dominated by red fruit and spices and is often associated with an herb blend called garrigue, containing rosemary, thyme, sage, lavender, and juniper, that is typical of the region. Red wines make up 76 percent of the Languedoc’s total production, or 8.2 million hectoliters. Rosé wines represent 14 percent (2.8 million hectoliters), and white wines, 10 percent (2.6 million hectoliters). Approximately 93 percent of the wines produced in the region are still wines, while 5 percent are sparklers, and 2 percent are sweet Muscat-based vins doux naturels. This variety has been cultivated in France since the Middle Ages. While typically smooth and delicate, Grenache provides structure to Languedoc blends. It also has an aromatic flavor profile and an exceptional ability to age (provided yields have been controlled). Grenache is often combined with more tannic grapes, such as Syrah and Mourvèdre, in the region’s red blends. It produces round, elegant wines with notes of cherry and plum in youth, and jam, cocoa, and mocha with age. Wines made with Syrah tend to be robust and high in alcohol and tannins, which makes them good candidates for aging. Syrah gives low-acid, deeply colored, fruity wines with red fruit and strong floral notes, with hints of licorice, ginger, and spice. With age, Syrah develops resin and animal notes. Grown throughout the southern Mediterranean, Carignan is a low-yield variety that produces powerful, intensely colored wines with strong tannins. It helps build the foundation in Languedoc blends, where it’s often combined with other, finer grapes, such as Grenache, Cinsault, Syrah, and Mourvèdre. Carignan offers red and black fruit notes as well as typical regional notes of garrigue. Peppery, balsamic notes may develop as Carignan ages. This variety’s history in France dates to the Middle Ages. Mourvèdre produces bold, full-bodied, tannic wines that are deep in color and firm in structure. It contributes complexity to Languedoc blends, and its flavor profile features blackberries, blueberries, and black currant, as well as baking spices and herbal garrigue notes. Known for its supple, juicy, and fruity wines, Cinsault yields wines that tend to be light ruby in color with notes of sour red berries, like strawberries, currants, and cranberries. This grape is also used in the production of the Languedoc’s excellent rosé wines. Numerous other varieties can be found in Languedoc, including Bourboulenc (Malvoisie), Cabernet Franc, Cabernet Sauvignon, Carignan Blanc, Chardonnay, Chenin Blanc, Clairette, Fer Servadou, Grenache Blanc, Grenache Gris, Macabeu, Malbec (Côt), Malvasia (Roussillon Tourbat), Marsanne, Mauzac, Merlot, Muscat, Piquepoul, Rolle (Vermentino), and Roussanne. What’s Happening in Languedoc Today? With its shift to the modern, Languedoc is rebranding its wine region as the New World of the Old World. 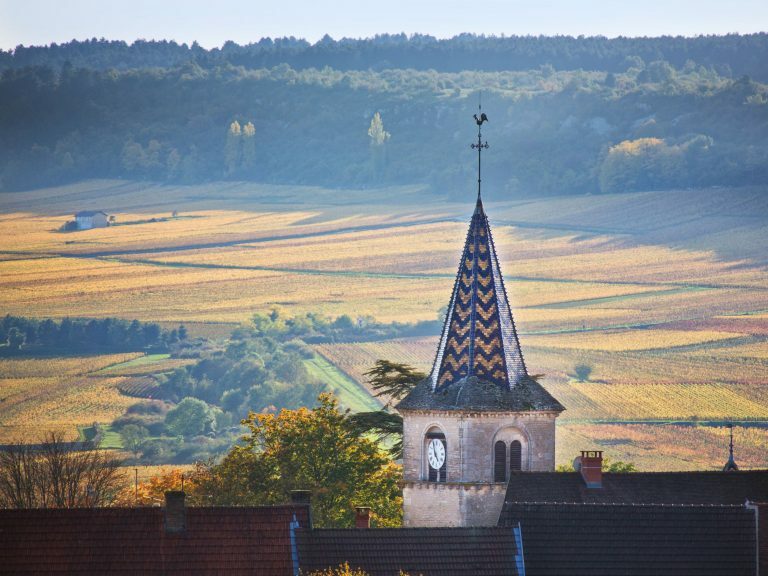 In many ways, it has become a new frontier for French wine. Not only does it offer a diverse range of wine styles but it delivers exceptional quality at approachable prices (most Languedoc AOP wines retail between $15 and $20). Consumers are seeking out Languedoc wines as new “discoveries” and affordable alternatives to other French wines. For example, Languedoc offers the popular Provence-style rosé at lower prices than those of rosés produced in Provence. The region is also evolving because of the numerous young people and foreigners who are buying up local land and joining the Languedoc winemaking community. 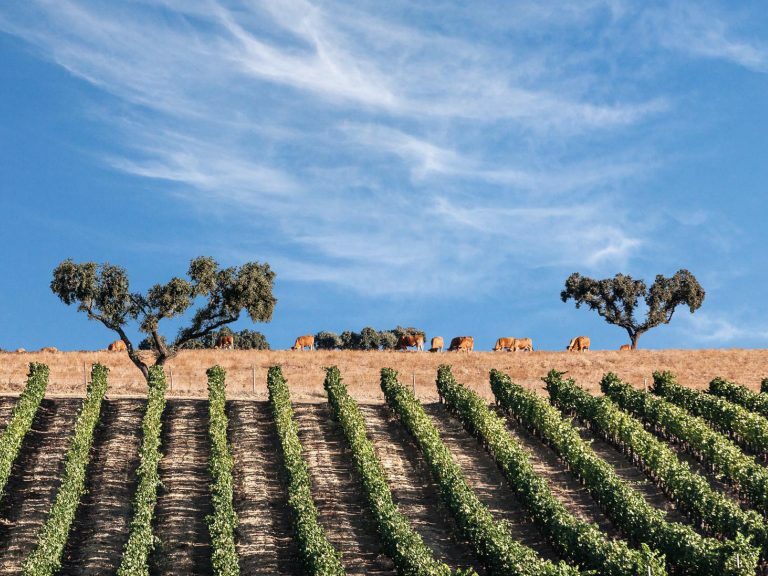 With shifting consumption patterns and increasing international demand, producers are tackling new challenges to support the success of Languedoc wine as a rapidly growing category. In 2016, the region represented 40 percent of French wine exports by volume, having exported 3.3 million hectoliters (the equivalent of 447 million bottles). Imports of Languedoc AOP wines to the U.S. market are also seeing impressive growth. Since 2009, imports of these wines into America have increased 376 percent by volume and 584 percent by value, according to 2017 import figures from French Customs and the UbiFrance department of food processing. The 2016 import figures showed a 29 percent volume growth and 43 percent value growth over those from 2016, outpacing every major French AOP category except Provence. Imports of AOP Languedoc red and rosé wines are a key driver of this growth for the category; they increased 47 percent by volume and 57 percent by value from 2016 to 2017.